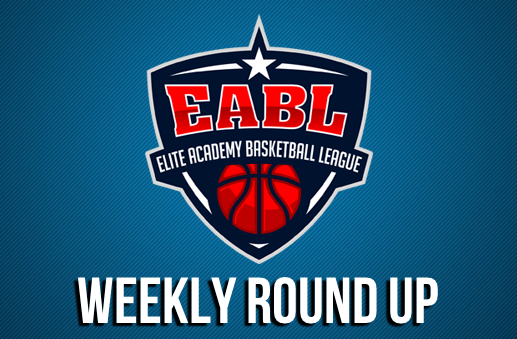 The week 14 action in the EABL saw 7 teams continue their journey into the second half of the season with some big wins! John Madejski Academy picked up an important road win against Copleston Sixth Form, in a close 84-81 game at the Copleston Centre. Off the back of 21 points from first year forward Sam Grant, JMA were able to hold off a quick Copleston start to ensure a key victory as the playoff picture in the South Conference begins to heat up. Adrian Nosa Castillo scored 14 and David Chive 13, including a crucial 3 at the end of the third to help JMA over the finish line. Ben Winter and Veron Eze added 18 and 17 for the home side respectively. Itchen welcomed SEEVIC to the South coast on Wednesday afternoon for the 2nd meeting between the sides this season. The hosts would lead from the opening tip until the final buzzer, controlling large spells of the game to run out 106-51 winners. Itchen were led by Rhys Sundimalt’s 24 points whilst Jeremy Sochan had 18 and Matt Hughes added 12 more. SEEVIC’s point guard Zayaam Ali had 16 points for the visitors and was their only player in double figures. Alec Reed beat BHASVIC 89-64 behind 20 points from Mo Adan. Alec Reed started the game with a great shooting performance in the first period and held onto the lead from there in this one. Adan’s 20 points were followed by 17 more from Rio Murray and Dovydas Golovcenko who had 14 points. BHASVIC were led by Lewis Jee with 21 points. Barking triumphed 82-57 over Oaklands College to maintain their lead at the top of the table. Despite a commanding performance by Barking, Oaklands continue to show a commitment to their brand of basketball and showed an improved performance this week. A strong start by Barking saw them lead 24-14 at the first break. In the 2nd quarter, the Wolves rallied to show they could compete with the league leaders, but Barking’s experience was evident as they finished the half up 46-25. Oakland’s Jordan Bogle showed glimpses of his ability on both sides of the floor as he stepped up to finish the game with 12 points and 5 steals. He was supported by the scoring of Ola Olanrele who had 10 points, while Abdul Wurie and Simeon Douglas both contributed 7. 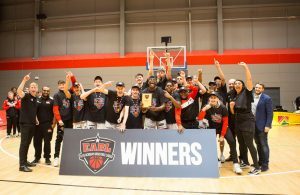 Barking were paced by the talented Robin Bedford who finished with 25 points followed by Jordan Moses and Tautvydas Mieliauskas who scored 12 and 11 respectively. SGS College made the trip up North to take on Manchester Magic Academy on Wednesday. Towards the end of a competitive game, Manchester stepped up their defensive intensity, leading to numerous transition points and a final scoreline of 77-46 for the hosts. Magic were led by Ty Jordan and Dan Gargan with 14 points and Saul May chipped in with 10. SGS’s Marvin Dinnall top scored with 12 points and Louis Weaver had 11. In Wednesday night’s match-up between Myerscough and James Watt in the North West, the hosts emerged victorious 92-71. The second half of the game saw Myerscough pull away and defend a comfortable lead the rest of the way. Coach Hopkins’ side shot well from the outside hitting five 3 pointers in the 3rd quarter which proved too much for James Watt. To their credit, the Birmingham side still continued to play hard despite the deficit as they tried to find a way back into the game. Ultimately, Myerscough’s Mate Okros was the difference on the floor. His length and long range shooting continued to shine as he finished with 26 points. In reply, Conor Lynch also finished with 26 points, showing his versatility scoring both inside and out. 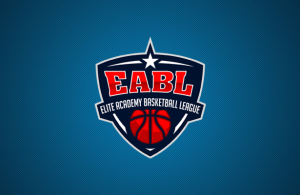 A dominant display from the league leaders ensured a comfortable win for Charnwood as they defeated Newcastle Eagles 100-46. A 21-5 first quarter for the visitors set them up the rest of the way as they forced turnovers and scored easy points in transition. 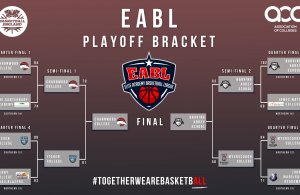 The pressure from Charnwood continued as they outmatched the Eagles in all phases of the game. The 3rd was won 32-16 and the 4th 26-7 as the Riders ran out comfortable winners. Newcastle’s Joe Moore had 10 points whilst Tosan Evboumwan added 9 and Adam Fetherston 8. Charnwood’s Greg Wild had 20 points for the game, whilst Ethan Demuram dropped 12 and Leon Neziri also had 12. Derby fought hard to claim a gutsy 73-95 road win after a physical encounter against The Sheffield College. Derby started the better of the two teams, taking an early lead in the first few minutes of the game. The Midlands team would continue to shoot the ball well from outside and went into half time with a 25-point lead. Sheffield College came out firing in the third quarter, going on an 18-0 run with Alex Lycoudis on form from deep for the hosts. Sheffield were able to cut the lead down to as little as 5, but that is as close as they would come. The 4th quarter saw Derby more composed and able to grind out a 22-point win. Derby were led by Luke Ptak who finished with 21 for the visitors whilst Lycoudis led the scoring for Sheffield with a game high 26 points.